Having been around since 1922, you can be sure The Tam O’Shanter has seen quite a few chef changes over the years. But even when one toque leaves and another takes over the stoves, a few things remain: the Toad in a Hole, the homemade potato chips, and of course the prime rib. But now you’ll find things like porchetta and brick chicken on the menu at the iconic Atwater Village restaurant, thanks to new chef Juan Escamilla. 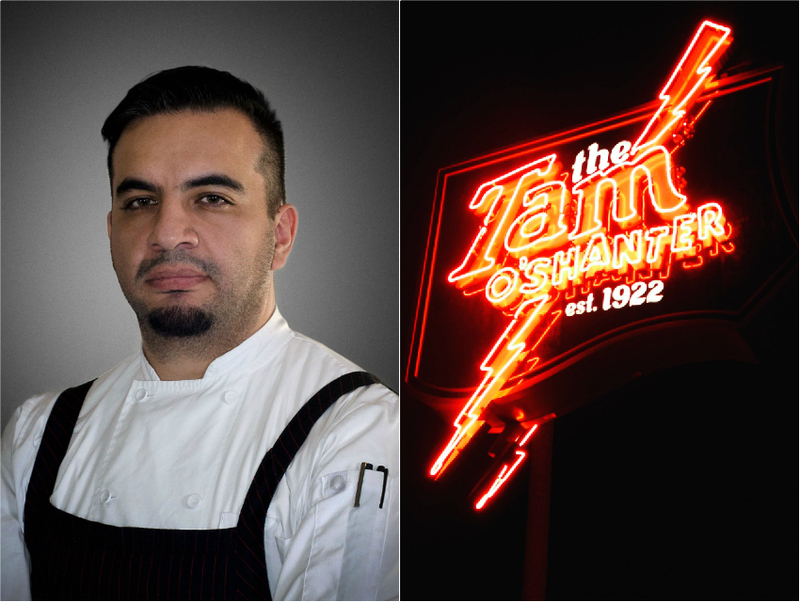 Escamilla recently took over the executive chef post, replacing Mark Kalenderian, who was unceremoniously fired for very publicly threatening an anti-foie gras advocate on social media (the words “use your disassembled corpse” were used, among other things). Very publicly promoting Escamilla is a good way for the restaurant, which took some extra special fire for the chef’s words, to sort of tap it all down. Adding trendy dishes like heirloom carrots and porchetta can’t hurt either. The chef was most recently at Union in Pasadena, Electric City Butcher in Santa Ana, and Bouchon in Beverly Hills. He’s making good use of those butchery skills for new dishes on the menu—he’ll rotating in four to five things on a weekly basis, like the aforementioned porchetta or roasted bone marrow—and updating other seasonal offerings. Look for his “chef’s choice” weekly specials, including several non-beef dishes like brick chicken or Scottish salmon with butternut squash puree, plus locally grown vegetables and other side dishes. Yes, there’s kale and even avocado toast. Fans of the classic prime rib dinner should not fret, however. The restaurant’s most popular items are still available. Is there foie gras? Not currently, but never say never.